The Barnavle Knit from Barbour evokes memories of summer days with its nautical themed stripes. 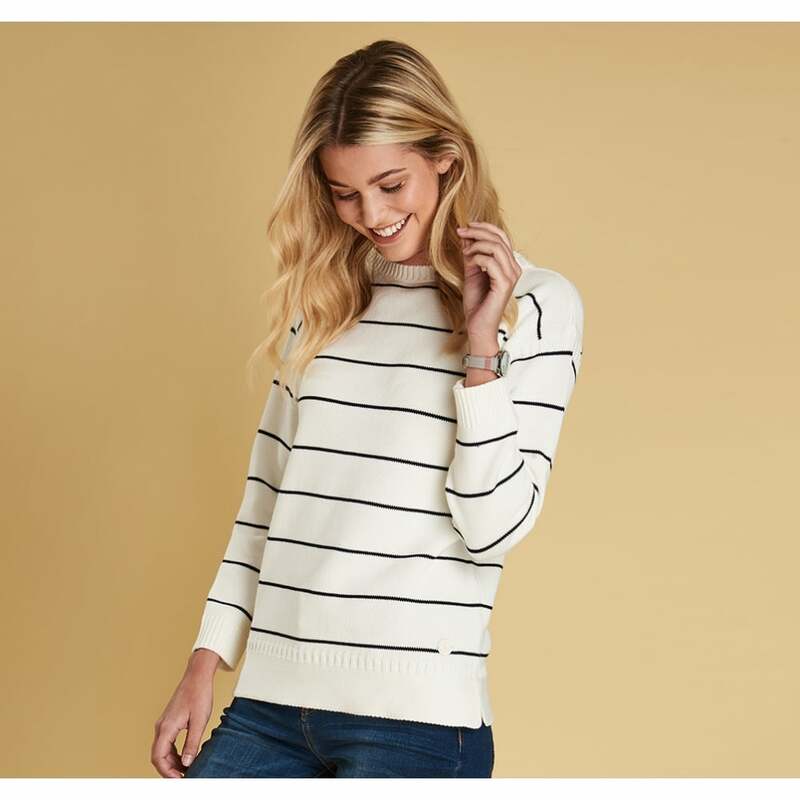 Crafted from 100% soft cotton this sweater has taken its inspiration from traditional maritime Guernsey style. Featuring a wide boat neck, rib detail on the armholes, cuffs and hem for extra durability and finished with Barbour Beacon Branding team it with jeans for a casual yet smart look.